This and every Thursday & Saturday NIGHT 09:30PM SHARP!! 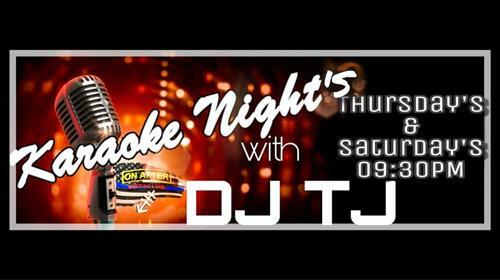 Bring some friends or make new ones, and enjoy a little karaoke with DJ TJ!! No cover charge! Free admission!